Brigham and Women’s Hospital’s Department of Psychiatry will serve as an innovative and national leader in culturally-competent practice, education and research. Recognizing and celebrating the diversity of our departmental community. Provision of mentorship for diverse faculty, staff and students. Integration of diversity frameworks within educational curricula across training programs. Attention to and adoption of culturally-responsive clinical care practices. Openness to lifelong learning practices within the departmental community on diversity topics. Prioritizing the recruitment and retention of diverse faculty, staff and students within the departmental community. Development of outreach activities within the greater Boston community. 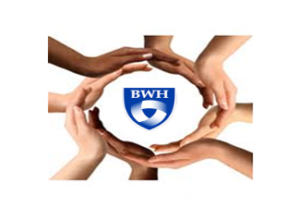 The Brigham and Women’s Hospital Department of Psychiatry’s Diversity and Inclusion Committee consist of staff members from multiple disciplines within the department of psychiatry located at both the Brigham and Women’s Hospital (BWH) and the Brigham and Women’s Faulkner Hospital (BWFH). The Diversity and Inclusion Committee (DIC) is dedicated to fulfilling the vision and mission of creating, developing, and nurturing a dynamic professional environment which is inclusive, knowledgeable, and dedicated to providing excellent culturally sensitive and competent clinical services to the diverse patients and communities we serve. To achieve these goals DIC aspires to play an integral role in leading and supporting BWH, BWFH, and Brigham Health as a whole in; recruiting and hiring diverse staff across disciplines representative of the populations we serve, developing and implementing training curriculums focused on enhancing knowledge about our diverse patients (race, ethnicity, religion, gender identity, sexual orientation, community, differentially abled individuals), developing and implementing training curriculums focused on enhancing the sensitivity and effectiveness of inter and cross cultural engagements, enhancing knowledge of and developing strategies to address social inequality and injustice within our health care system and in society at large, and establishing cooperative connections and working relationships with diverse community based institutions throughout the Greater Boston area.